Village Realty OBX announces that their annual Outer Banks Photo Contest has begun. Open to all, no purchase necessary...the grand prize is an off-season week in an Outer Banks vacation rental home managed by Village Realty. This is one of our most popular events and it is always fun to see the many different photos that come in each day. 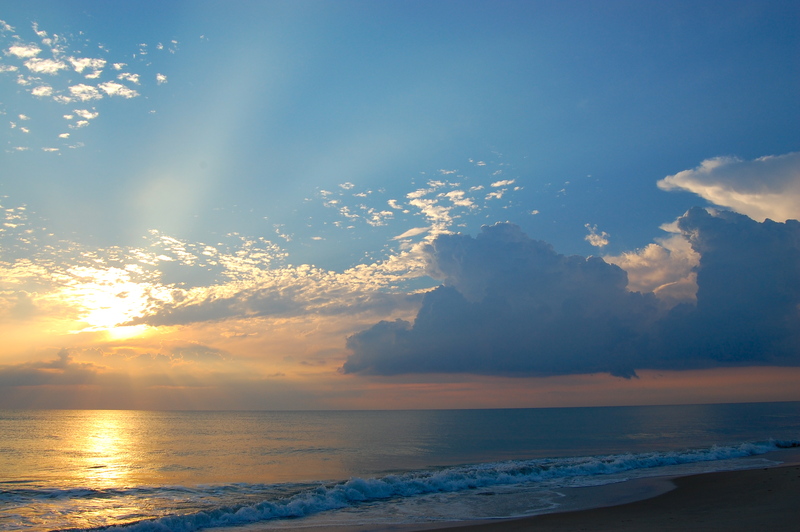 The annual Outer Banks photo contest will run through October 31, 2012 and is open to anyone. This is the fourth year that Village Realty has sponsored this popular contest and the quality and variety of photos gets better each year according to Jeannie Maynard, Web Services Manager. This year there are more categories to choose from, including one for Black and White photos, a Surprise category and one for Professional Photographers. Some of the most popular categories for entries are Sunrise/Sunset, Kids on the Beach and Pets on the OBX. The Grand Prize is a stay in a Village Realty vacation rental during the off season. Prizes will also be awarded for first runner up and first place in each category. For more information on how to enter please visit OBXPhotoContest.com. Photos must be entered via the entry page online. Village Realty will determine semi-finalists and then let their Facebook friends/likes choose the finalists in each category. The Grand Prize Winner, First Runner Up and category winners will then be determined by Village Realty. Some photo entries will be previewed on the Facebook page several times a week. For more information, visit http://www.VillageRealtyOBX.com or call the main office at 800.548.9688. Village Realty manages over 600 Outer Banks vacation homes and is known for excellent customer service. There are two check-in offices: one in Nags Head and one in Corolla, NC, and both offer full service real estate services as well. There is also a sales office in Columbia, NC, a part of the "Inner Banks" of North Carolina. Locally owned and managed, Village Realty has been in business for over 20 years and was the first Outer Banks vacation rental company to provide bed linens and bath towels for every stay. Many homes are pet friendly and handicap friendly accommodations are also available.